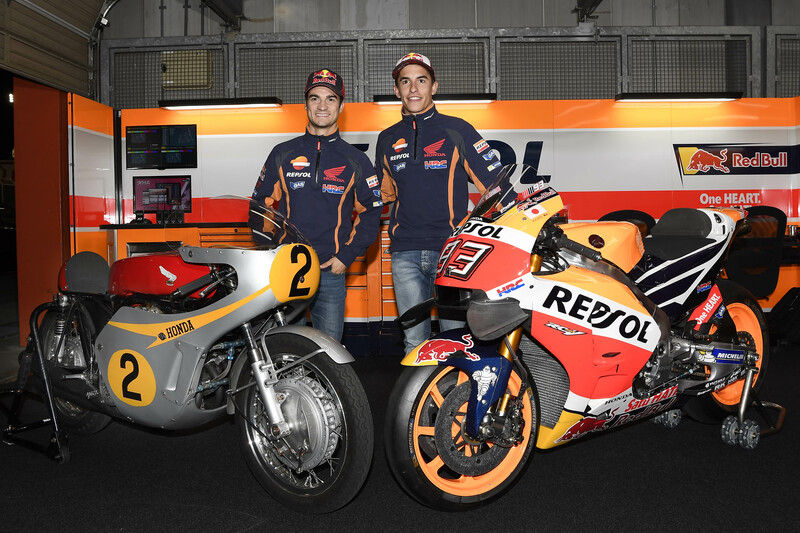 Dani Pedrosa and Marc Marquez pose with the 1966 Honda RC181 and the 2016 RC213V at Motegi in Japan. It was perhaps fitting that Marc Marquez collected his third MotoGP World Championship at Honda’s own circuit at Motegi in Japan, as 2016 celebrates 50 years since Honda first entered the premier class of Grand Prix motorcycle racing. What is also appropriate is the fact that Marquez achieved this on the recalcitrant 2016 RC213V. Although an improvement over the 2015 edition, a change to the new Michelin control tyres as well as the new control software, tossed in, even more, variables for the Repsol Honda team to equate. But the key this year to Marquez’s success has been his determination to finish every race and has shown the kind of maturity, at just 23 years of age, that no doubt is worrying to his rivals. 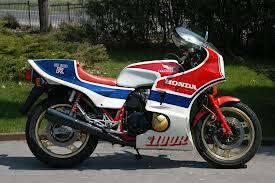 Honda’s first foray into the 500cc (MotoGP) class with the RC181, coincidentally suffered handling issues as well. 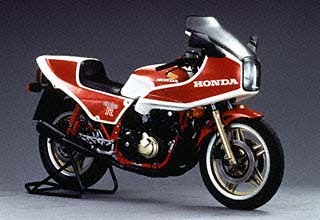 Honda’s weapon of choice to enter the 500cc war. Honda, of course, was the first Japanese motorcycle manufacturer to enter into the Grands Prix in 1959 at the Isle of Man TT in the 125cc category. 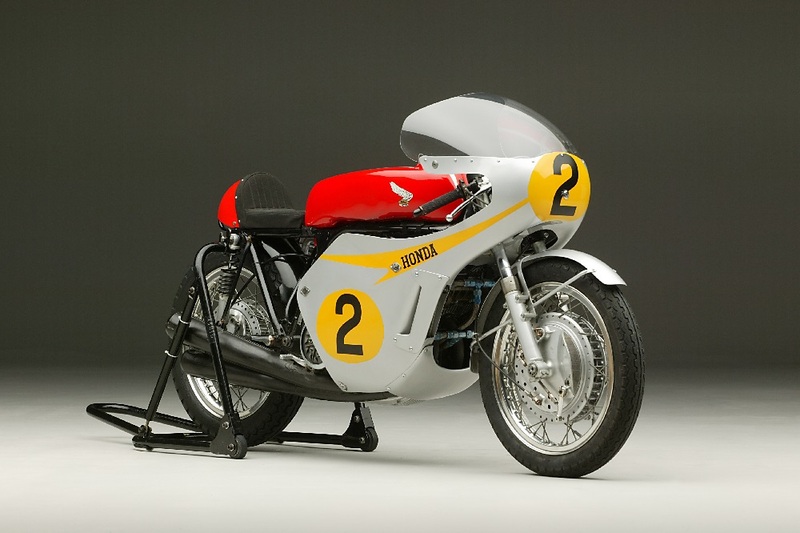 After considerable success in the lower capacity classes, Honda then took the plunge by entering a 500cc machine in the premier class for 1966. 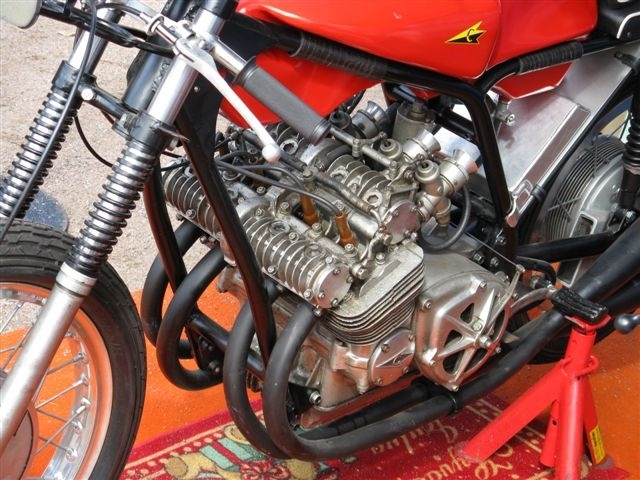 Although rumours in the paddock suggested that like the multi-cylinder four-strokes Honda had produced in the smaller capacity classes, the 500cc machine could potentially have a six-cylinder or even a V-8 power plant. 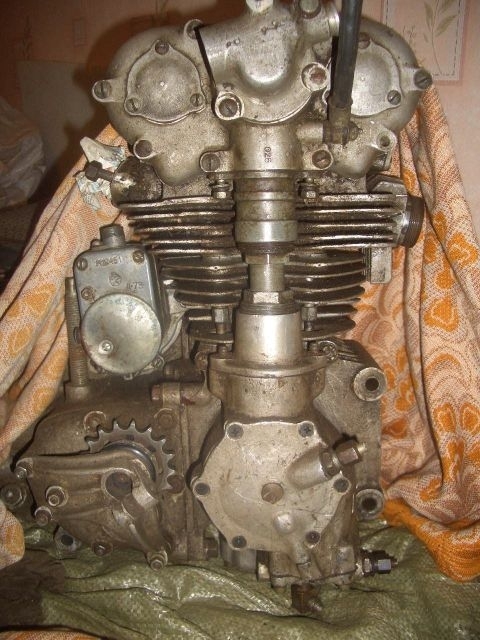 However, it was a more conventional transverse air-cooled four-cylinder engine, with twin overhead camshafts and four-valves per cylinder, that fronted the grid. 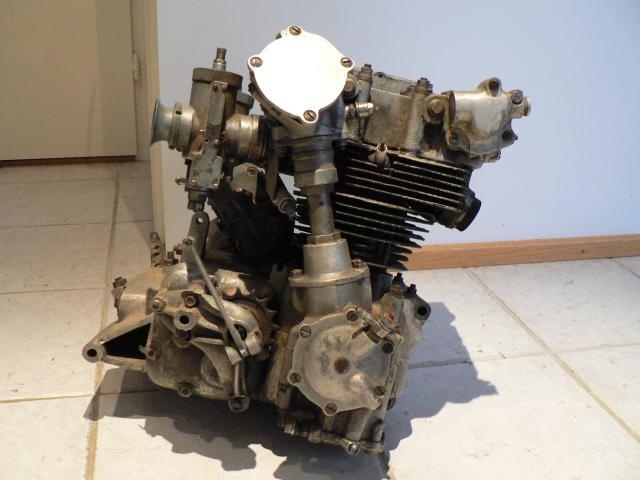 The RC181 boasted a very competitive 85hp at 12,000rpm and weighed in at 154kg using the engine as a stressed member. 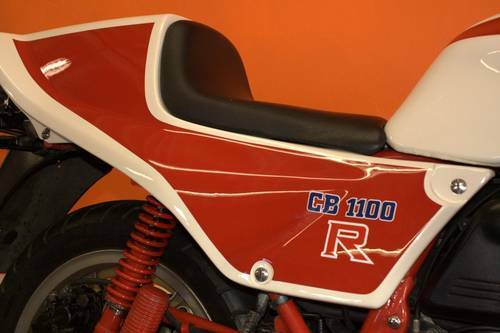 It was entrusted to Rhodesian, Jim Redman, Honda’s six times world champion (two 250cc and four 350cc class titles) to take on the might of MV Agusta and the talents of its rising star Giacomo Agostini. Honda used the engine as a stressed member for the chassis of the RC181. Redman took the RC181 to a stunning victory on debut at the German Grand Prix at Hockenheim and followed that up with a win at the next round in Holland at the Dutch TT. 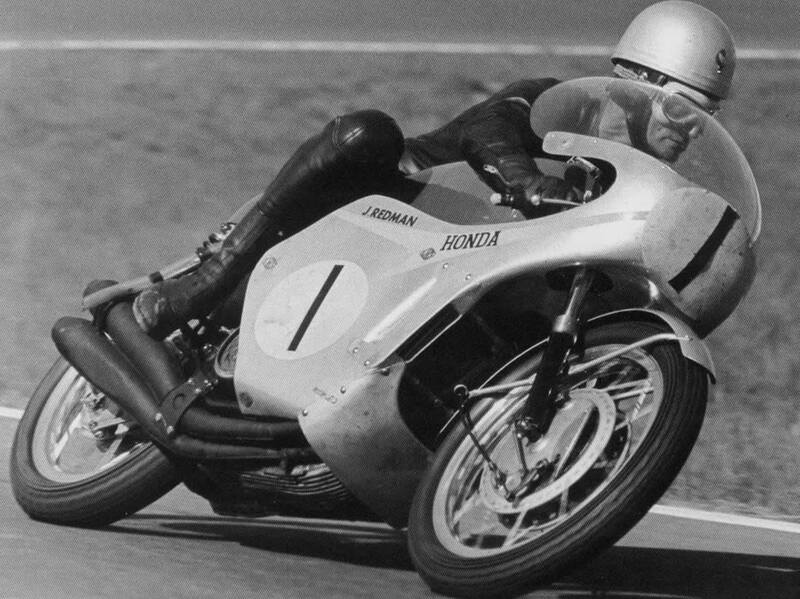 Honda had also enticed its former 250cc World Champion, Mike Hailwood, back to the fold, and although his priority was to be the 250cc and 350cc categories, Hailwood rode the new machine for the first time in Holland and was leading the race when a false neutral caused him to crash. 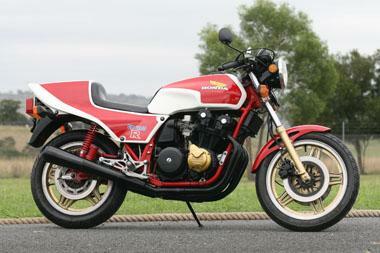 Nonetheless, it appeared MV Agusta’s monopoly on the class was about to end. 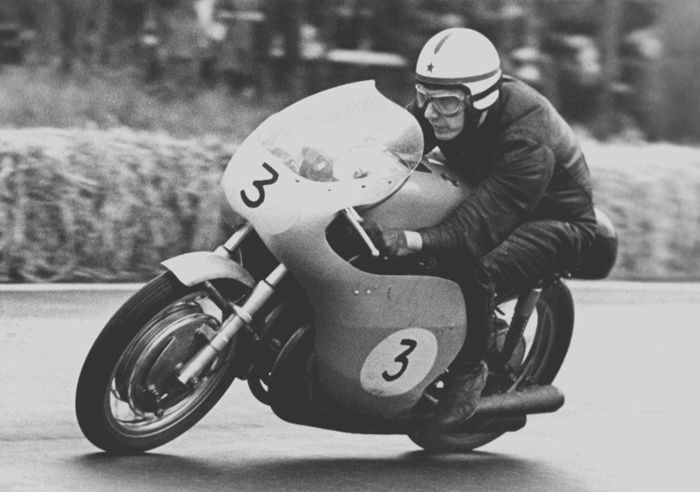 Hailwood’s Honda wore the number 1 plate in 1966 after winning the 500cc crown for MV Agusta in 1965. Both Honda and Hailwood returned for the 1967 season with an updated RC181. The off-season saw the Honda now developing a healthy 93bhp at 12,650rpm with its weight reduced 13kg to 141kg with the extensive use of magnesium in the engine. Mike had flown to Japan during the off-season to test the 1967 machines and was horrified to discover the promised new chassis for the RC181 was non-existent and demanded to take an engine back to England to have a chassis built in Europe that might solve the severe handling problems. 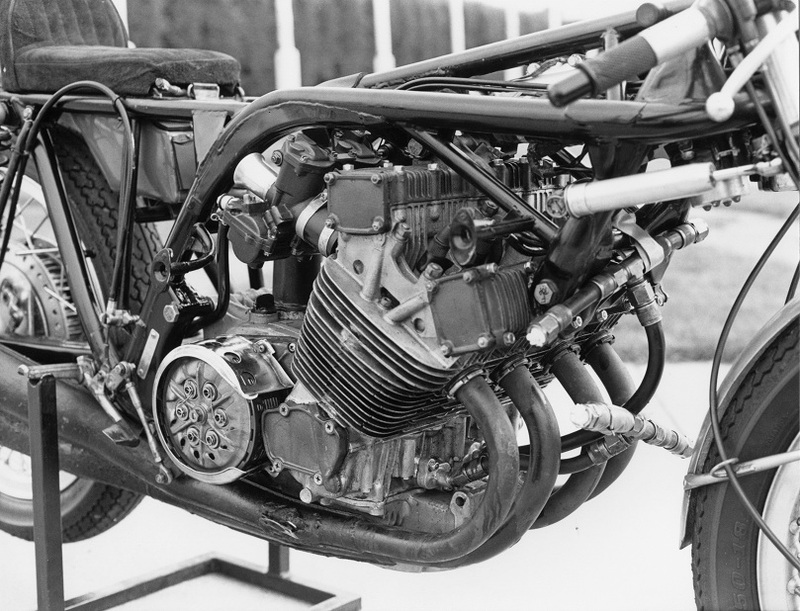 The Japanese though refused to let Hailwood race the new chassis in the Grands Prix, but instead “beefed up” the existing RC181 frame which used the engine as a stressed member. Mike did enter the HRS (Hailwood Racing Special) at some non-championship races and even practiced on it for the first Grand Prix of the season at Hockenheim but reverted to the factory RC181 for the race and was leading when the crankshaft broke handing Agostini the win. Hailwood (left) and “Ago” on the starting grid as they prepare to do battle. The next race was the TT at the Isle Of Man, a race that became one of the all-time classics in Grand Prix racing history. During their titanic struggle, the lead swapped back and forth for five of the six laps of the 37.5mile course (60.3km) until the chain broke on Agostini’s MV. Hailwood cruised to victory and had set a new outright lap record of 108.77mph (175kph), which stood for almost a decade. The next weekend Agostini and the improving MV outpaced Hailwood and the Honda at Spa in Belgium, and at the Sachsenring in East Germany, gearbox problems forced Mike to retire with Agostini claiming victory. The Brno circuit in Czechoslovakia was next with Hailwood finishing 17.8 seconds ahead of his nemesis on the MV Agusta triple. But a fall at Imatra in Finland on a wet track shifted momentum once more to Agostini. 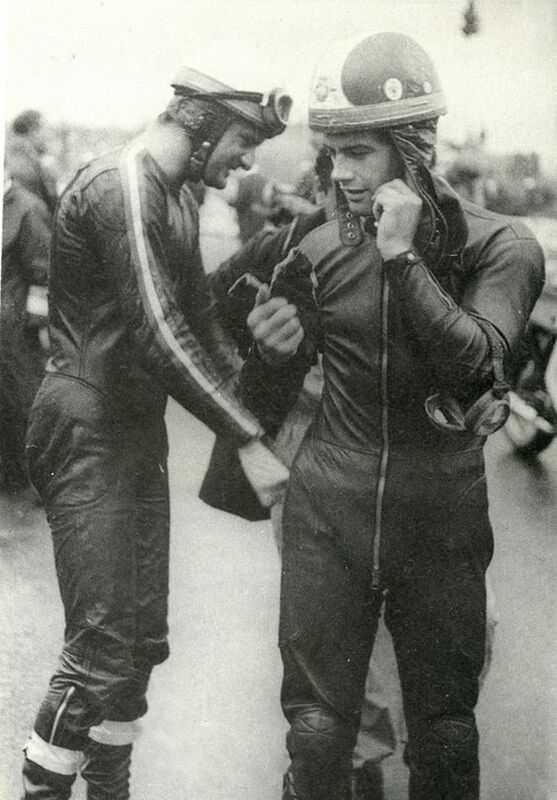 The roles were reversed again at the Dundrod circuit in Ulster with ‘Ago” retiring and Hailwood winning. The whole season now pivoted on the penultimate race of the season at the Nations Grand Prix in MV Agusta’s own backyard at Monza in Italy. At last, it looked like Honda would achieve their ambition as Hailwood led Agostini by 16 seconds with three laps to go only to have certain victory stolen from him by a gearbox that became stuck in top gear. Agostini flashed by to win by 13.2 seconds and take the title a second year in a row. Although Hailwood won again at the final round at Mosport in Canada, beating “Ago” home by a massive 37.7 seconds, it was of no avail. 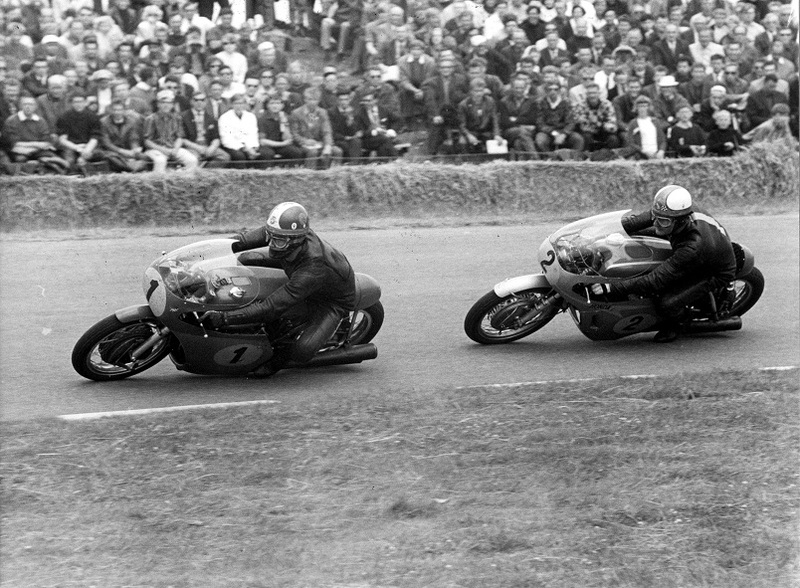 Both riders had accumulated five wins apiece, but “Ago” took the title due to three-second place finishes to Hailwood’s two. There was no consolation prize for Honda either as MV Agusta also took home the manufacturers title. Hailwood chases “Ago” at the Dutch TT in 1967. Honda withdrew from the Grands Prix at the end of 1967, but this was just a prelude of what was to come. 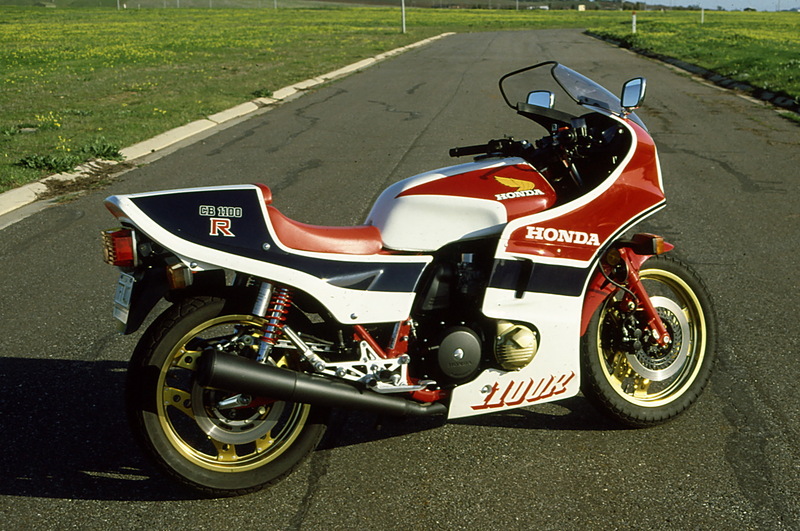 The Japanese company returned to the premier class of Grand Prix motorcycle racing in 1979 with the ill-fated NR500 four-stroke racer and won the first of their many rider’s titles in 1983 with Freddie Spencer and the NS500 two-stroke. Those frustrating seasons of 1966 and 1967 for Honda, must now seem a lifetime away. As this is written, the Japanese manufacturer has accrued a staggering 279 race victories and 39 riders and Constructors World Championships. Words Geoff Dawes © 2016.Images courtesy of Honda and http://www.formulamoto.es. YouTube Video courtesy of Pathe. This entry was posted in Motorcycle Racing, Motorcycling and tagged Giacomo Agostini, Honda, Honda RC181, Jim Redman, Marc Márquez, Mike Hailwood, MV Agusta, MV Agusta triple on 09/11/2016 by Geoff Dawes. Perhaps the only surprise surrounding World Champion Marc Marquez securing his second MotoGP championship was the fact that he did not accomplish it with a win at Honda’s own circuit of Motegi. After dominating the class from the opening round in Qatar to notch up ten consecutive wins by Indianapolis, which equalled the great Giacomo Agostini, it was quite clear that the 2014 championship trophy already had his name partially engraved upon it. Marquez celebrates his back to back MotoGP World Championships. The 21-year-old became the youngest rider to win back-to-back Premier class championships since Mike Hailwood achieved it as a 23-year-old in1964. Marquez is also the first Spaniard to accomplish this feat. After finishing fourth in Czechoslovakia to the winner and Repsol Honda teammate, Dani Pedrosa, Marquez won again in England at the British Grand Prix. But mistakes at Mugello in Italy and Aragon in Spain kept the title tantalisingly out of reach until a tactical 2nd place to Jorge Lorenzo in Motegi secured the crown. After a crash in Australia, Marquez still has two more races, in Malaysia and Valencia, to equal or beat Australian Mick Doohan’s record of 12 victories in a premier class season. But although Marquez continues to set and break records, there is, maybe, one record he will be unable to achieve. Fifty years ago on the 25th of October this year, John Surtees O.B.E. secured the Formula One World Championship for Ferrari, becoming the first and only man to win a Grand Prix World Championships on two wheels and four. 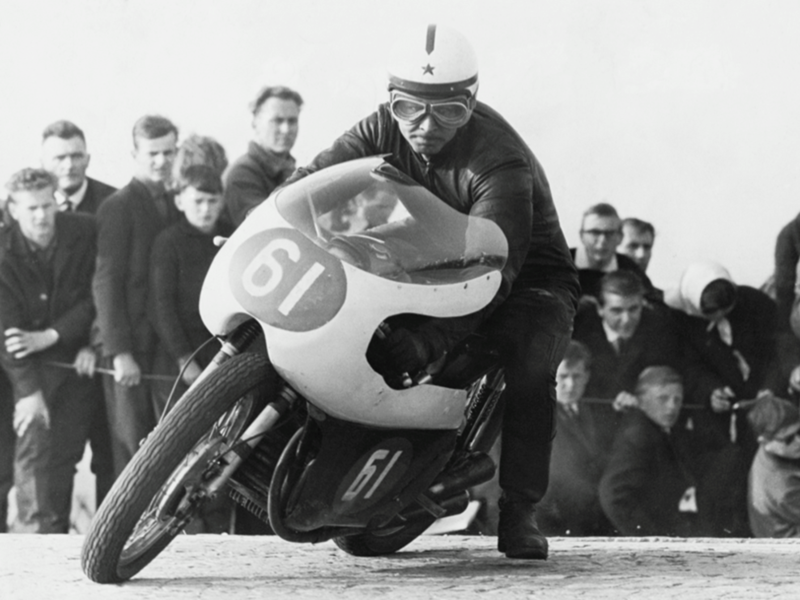 Surtees had already won the premier 500cc Grand Prix crown on four occasions (1956, 1958, 1959 and 1960) and the 350cc G.P. title on three times (1958, 1959 and 1960) for a total of seven World Championships on two wheels. Surtees then clinched the Formula One title at the last race in Mexico in 1964. 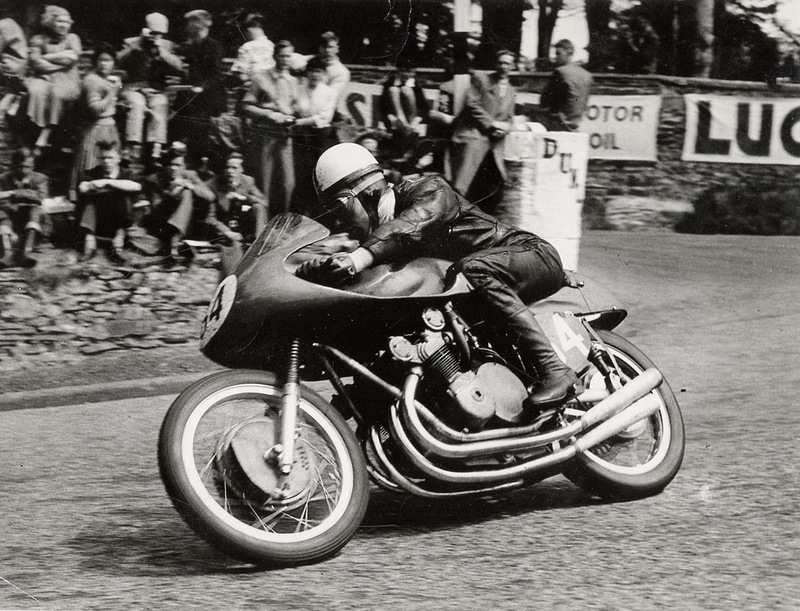 John Surtees rides his MV Agusta to victory at the 1958 Isle of Man TT. It’s interesting to note that Surtees won his World Championships on two wheels and four with Italian racing royalty, Ferrari and MV Agusta. But remarkably Surtees had never raced a car until a non-championship meeting at Goodwood in 1960. Surtees put his F2 Cooper-Climax on pole and finished an incredible second to Jim Clark in a Lotus. In only his second F1 Grand Prix at Silverstone Surtees, driving a Lotus finished second to World Champion Jack Brabham. It was just his eighth car race. At the Portuguese F1 Grand Prix, he put the Lotus on pole giving the team their very first pole position. 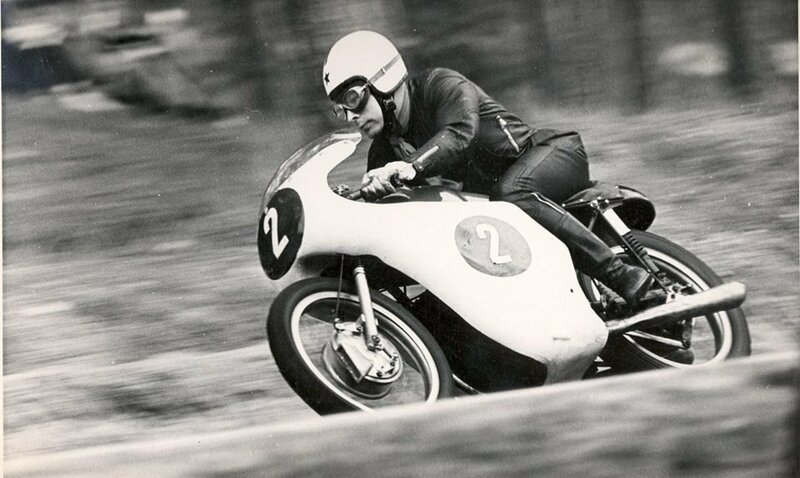 This was all in 1960 while he was on his way to winning both the 500cc and 350cc World Championship on two wheels with MV Agusta. Other examples of John’s versatility was to win the inaugural 1966 Can-Am Sports Car Championship in America driving a Lola T70 while another was taking Honda’s second F1 win in 1967 by driving the Honda Racing RA 300 to a fantastic victory on its debut at Monza in Italy. 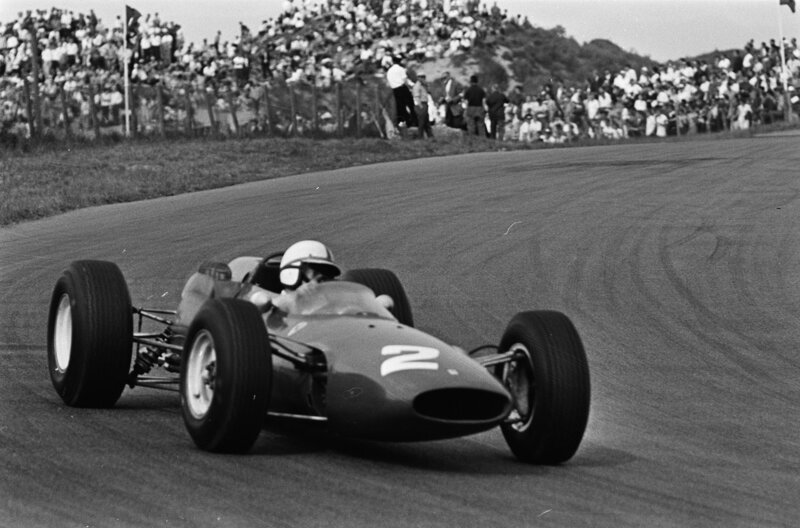 Surtees pushes the Ferrari 158 to second place behind Jim Clark’s Lotus at Zandvoort in Holland 1964. In today’s world of specialisation in Motorsport this type of versatility is unheard of. Surtees, like most riders in the 1950’s and 1960’s, also rode in more than one Grand Prix class during a championship meeting: a concept that would be alien to today’s MotoGP heroes. Yet there is still even more to Surtees’ accomplishments. Surtees also became a racing car manufacturer in 1970 forming the Surtees Racing Organisation with his cars competing in Formula 5000, Formula 2 and Formula 1. Surtees most significant success as a manufacturer came with another former motorcycle multi-world champion, Mike Hailwood, who won the European F2 championship for Surtees in 1972. 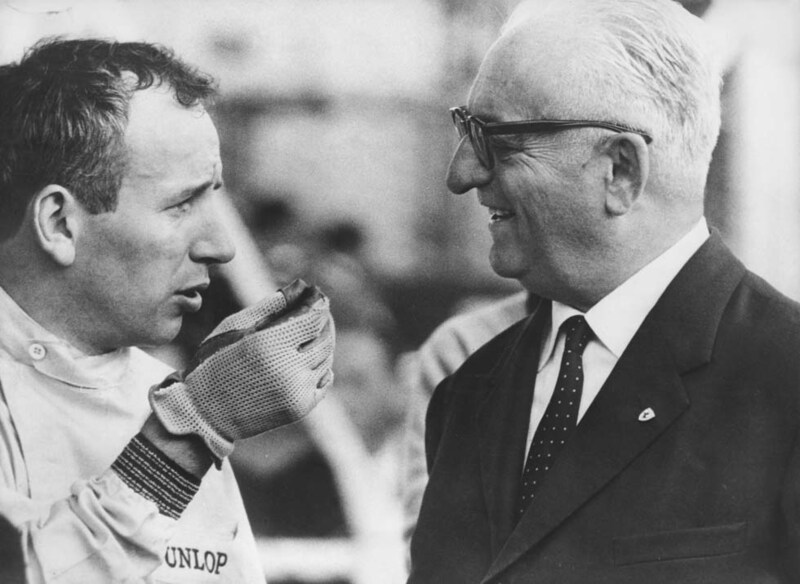 Surtees in discussion with “Il Commendatore” Enzo Ferrari. The prodigious talents of John Surtees have created a unique chapter in the history of Motorsport and one that is unlikely to be repeated. Although Surtees has already been awarded an M.B.E. and an O.B.E. in the Queen’s honours list, many feel that a Knighthood would be a more appropriate recognition of this great man and his ongoing contribution to Motorsport. Surtees turned 80 this year. Words Geoff Dawes © 2014. 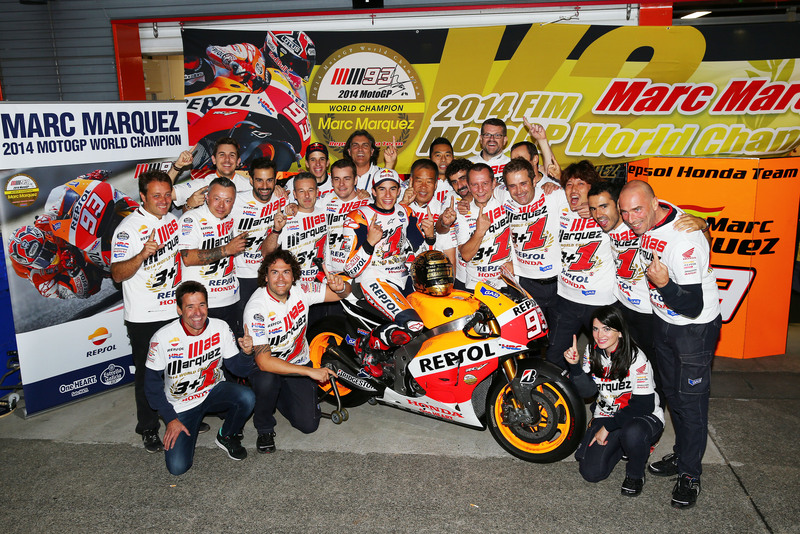 Images http://www.commons.wikimedia.org, http://www.ilpost.it, http://www.performanceforums.com and the Repsol Honda Team. 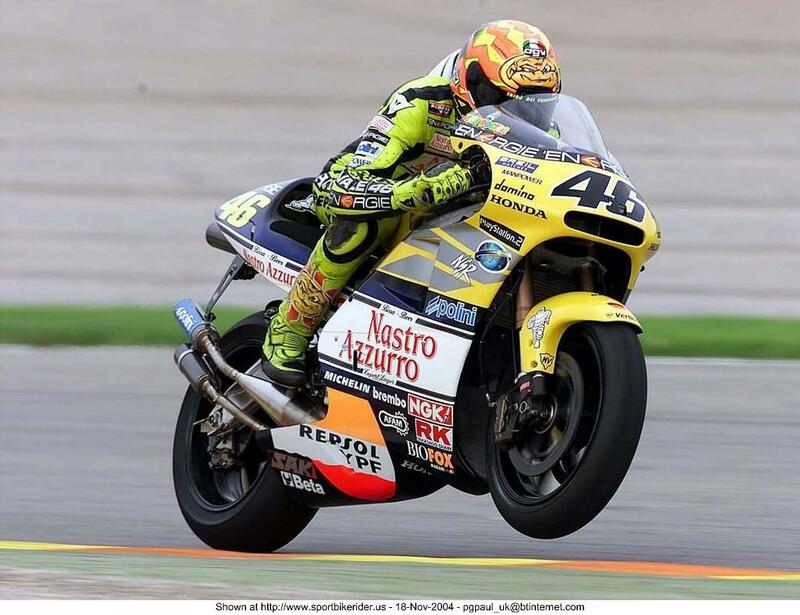 This entry was posted in Motorcycle Racing, Motorcycling and tagged 2014 MotoGp Champion, Ferrari, Ferrari 158, Honda, Honda Racing RA 300, Jack Brabham, Jim Clark, John Surtees, John Surtees Racing Organisation, Lotus, Marc Márquez, Mike Hailwood, MV Agusta, World Championship on 26/10/2014 by Geoff Dawes. When Casey Stoner won the final 800cc MotoGP World Championship for Honda in 2011, many a finger was pointed at the seamless gearbox Honda had developed as being a significant factor in the RC212V’s reinvigorated performance. 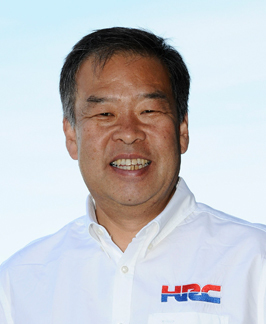 Shuhei Nakamoto, vice-president of Honda Racing Corporation, believed it was more a matter of refinement in many areas of RC212V that had brought about the championship winning performance. But the seamless gearbox did raise the ire of the MotoGP commercial rights holder Dorna, who with the FIM, was on a crusade to cut costs and to close the performance inequity between the CRT teams and the factory prototypes. Yamaha, however, is the last of the factory teams to adopt the technology as Ducati had already introduced their version of the seamless gearbox in late 2011. 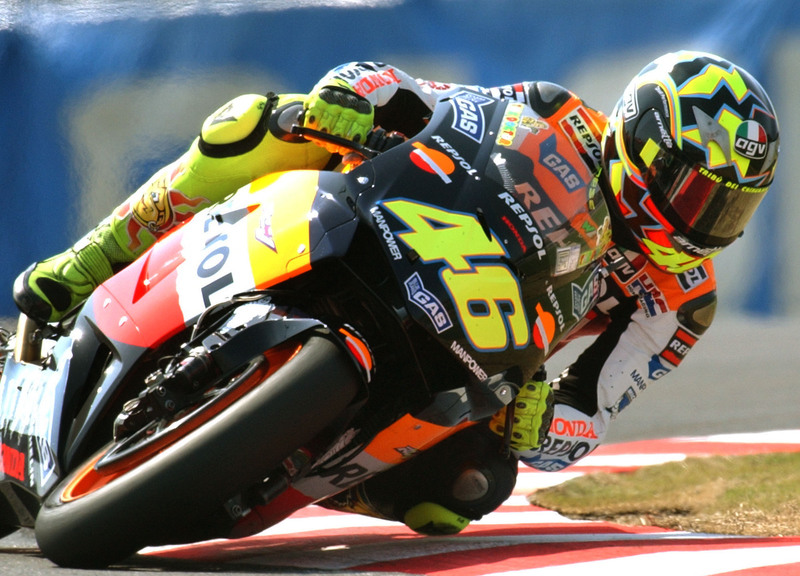 To the delight of its Grand Prix World Champions Jorge Lorenzo and Valentino Rossi, the M1 went seamless at Misano for the San Marino Grand Prix. 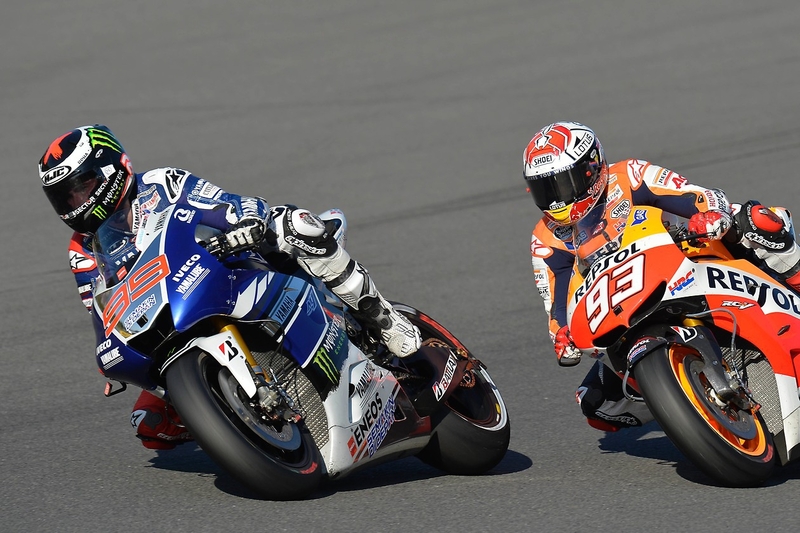 It was a concerted effort by Yamaha to try and bridge the technology gap to Honda and to help Jorge Lorenzo claw back lost ground in the MotoGP World Championship battle. Rossi and Lorenzo were delighted to have the seamless gearbox at Misano. The fact that gears can be shifted without the split second loss of torque through the transmission that occurs with a racing speed shifter, which momentarily cuts the ignition as another gear is engaged, is the primary benefit. With a conventional gearbox when the torque is reintroduced, it can load up the rear tyre and cause wheelspin or wheelies. 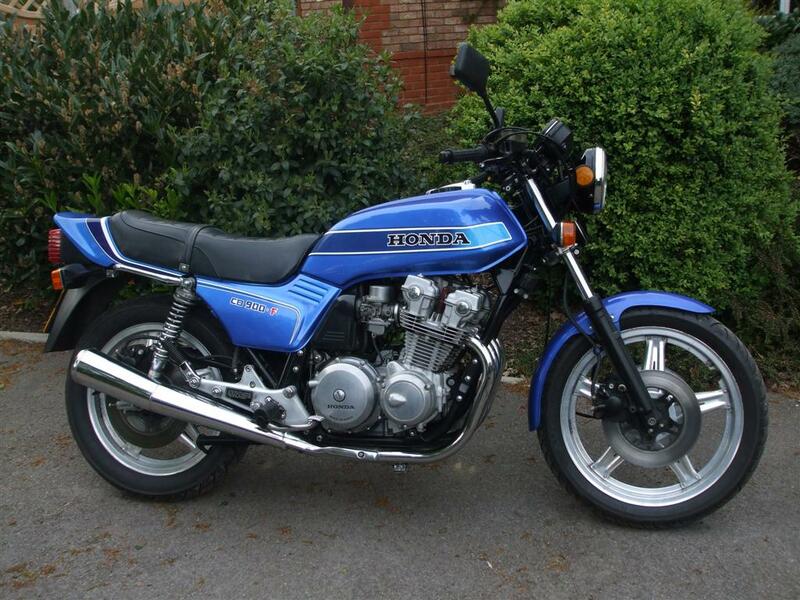 which may also unsettle the front end of the bike. Also with a seamless gearbox down, changes are smoother helping engine braking with a more controlled front end under brakes. Greater stability while changing gears mid-corner is another big benefit of the system. How does it work? To put it in simple terms two gears are engaged simultaneously. 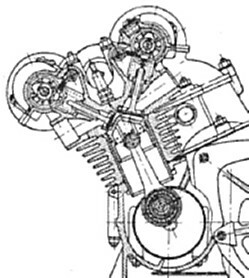 The torque is transmitted through the lower ratio, but as engine torque rises, the higher gear ratio is gradually engaged. When the higher gear is selected, the torque is transferred seamlessly to it. The reverse is true of down changes. There are many subtle benefits of the gearbox. Shorter gear change time, Improved tyre wear, more precise handling and less fatigue on the rider. 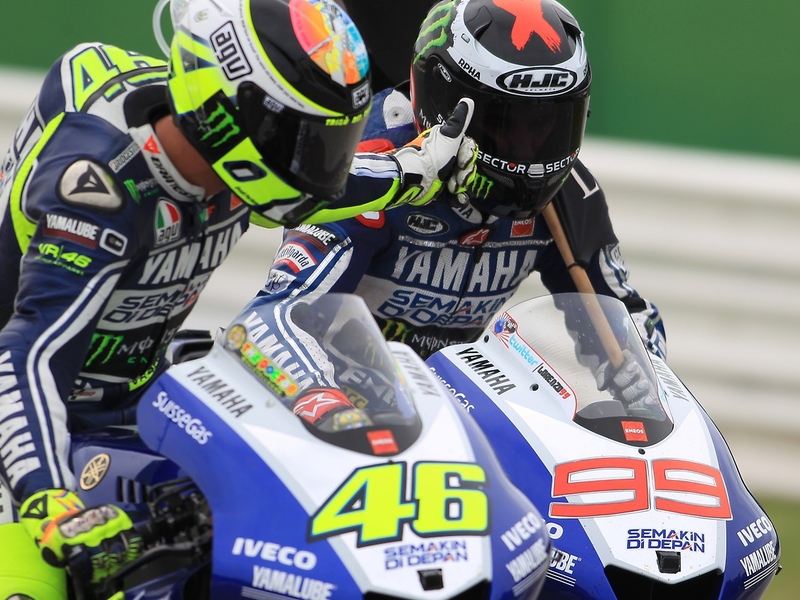 Yamaha managed to close the technology gap at Misano. The cost of developing the seamless gearbox is a mute point with Dorna who thought that they had all the bases covered when they outlawed automatic, CVT and twin-clutch transmissions, which is also the case in F1. There is a certain amount of irony here concerning F1 which I will refer to shortly. Lin Jarvis Managing Director of Yamaha Factory Racing towed the Dorna line initially saying that Yamaha would not have invested in the technology if Honda had not. This in some ways is a strange approach as most manufacturers justification to go racing is to develop new technology that can eventually filter down to their production motorcycles. 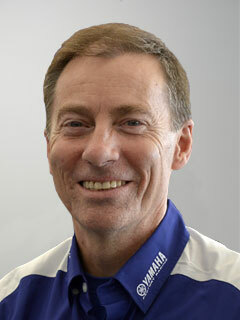 Yamaha Factory Racing Managing Director Lin Jarvis. Honda has quite openly been accused of spending a vast amount of money on their seamless system. But is this purely speculation? This brings us back to Formula One. The FIA outlawed automatic, CVT and twin clutch transmissions in the 1990’s, but for the 2005 season, the governing body deemed seamless gearboxes legal. One of the first cabs of the rank was the BAR Honda Formula One team who promptly announced they had developed such a gearbox for an introduction that season. So seamless gearbox technology is not new to Honda having introduced it in F1 some six years before it appeared on the RC212V of the Repsol Honda Team in 2011. It would, therefore, be safe to suggest that the cost to Honda for using existing technology would not have been as extreme as some would have us believe. Considering Dorna’s close links with F1, it’s a surprising oversight that the move to seamless technology by Honda was not anticipated. Words Geoff Dawes (C) 2013. Photographs courtesy of Repsol Honda Team and Yamaha Factory Racing. This entry was posted in Motorcycle Racing and tagged Casey Stoner, Grand Prix motorcycle racing, Honda, Honda Racing Corporation, Jorge Lorenzo, Repsol Honda, Shuhei Nakamoto, Valentino Rossi on 30/09/2013 by Geoff Dawes.